Mmmmmmm Moschino! Happy 30th Birthday! The Italian fashion house, Moschino celebrates its 30th anniversary this fall. Franco Moschino, the designer behind the brand, started his career as an illustrator for fashion designer Gianni Versace in the 1970s. In 1983, he inaugurated Moschino! Couture to great fanfare. I have always loved the brand for its irreverent, cheeky, provocative, ironic take on the lampooning of the fashion establishment. He is the contemporary reincarnation of my fashion hero, Elsa Schiaparelli, the brilliant fashion designer who used surrealism, playfulness and pluck in her work. 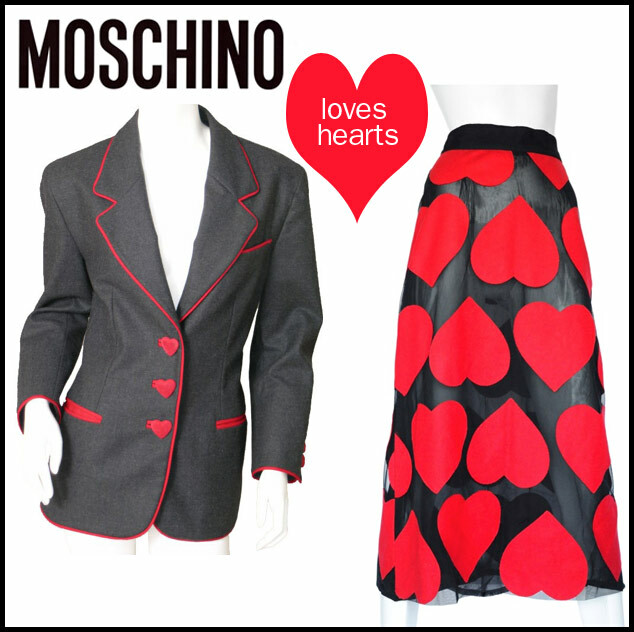 Moschino drew inspiration from Schiaparelli’s playfulness in design as evidenced by his using big red hearts to replace jacket buttons and gigantic trompe l’oeil images of flowers in blouses and jackets. His eye for fine tailoring and beautifully executed apparel led to sold out collections. He garnered fans among the difficult to please fashion press and cultivated a cult-like following eager for more tongue-in-cheek renditions each season. 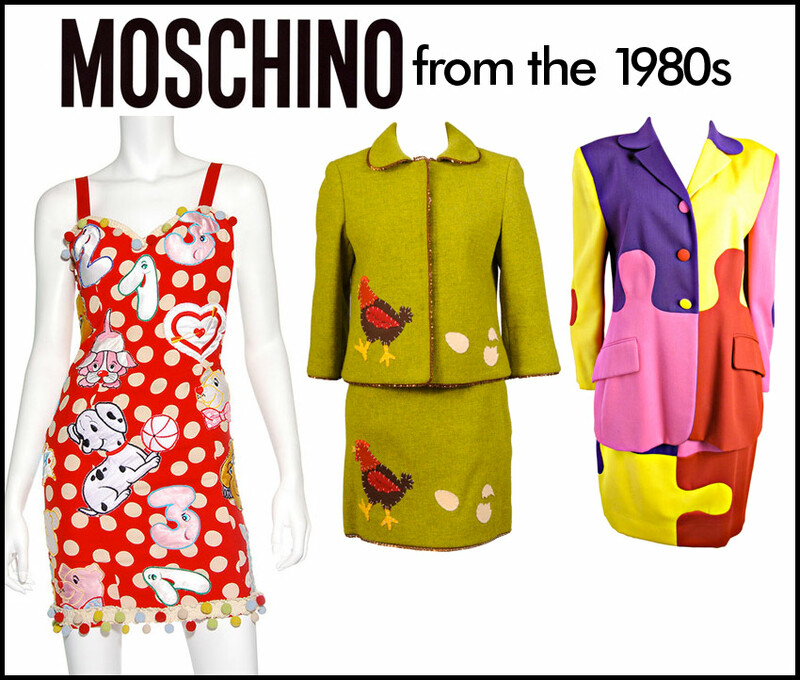 In 1988 he launched the Moschino Cheap and Chic line, a less expensive version of the couture line. An accessories line comprised of handbags, shoes, scarves and perfume followed soon after. In 1994 Franco suffered a heart attack and died at the age of 44. His assistant and friend, Rossella Jardini, was appointed Creative Director and has carried the mantle ever since. 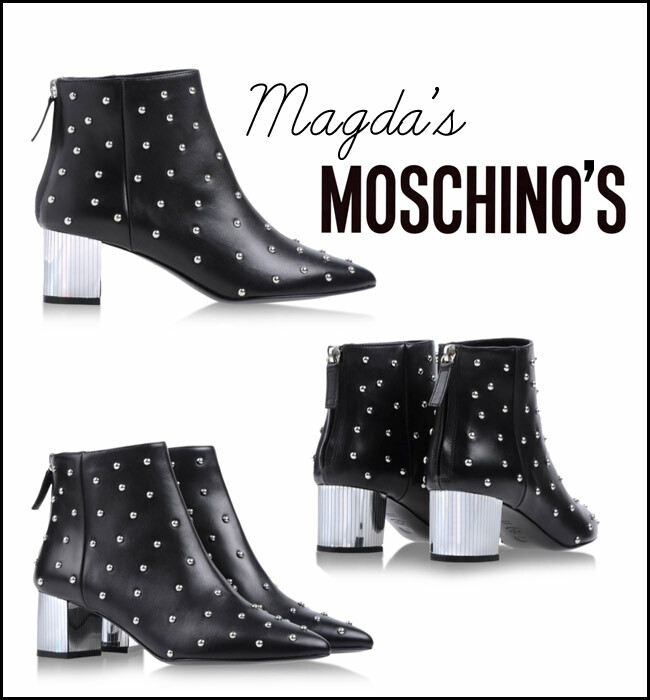 She continues the Moschino vision faithfully. I discovered Moschino in the late 80s while thumbing through Vogue Magazine. I was struck by the bright colors and humor in the advertisements. 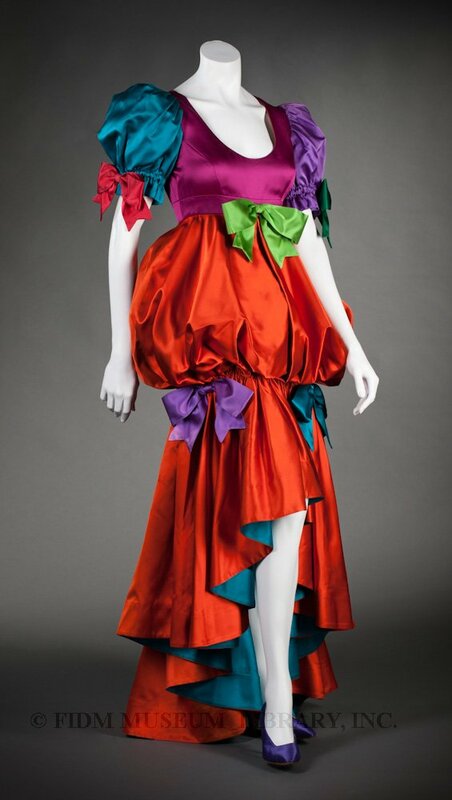 The clothing was vibrant, daring and whimsical. Back then, I couldn’t afford anything from the line, but took avid notes on tear sheets of pieces I coveted. Today, I can make a purchase or two from vintage sites and other great retailers selling this sought after brand. 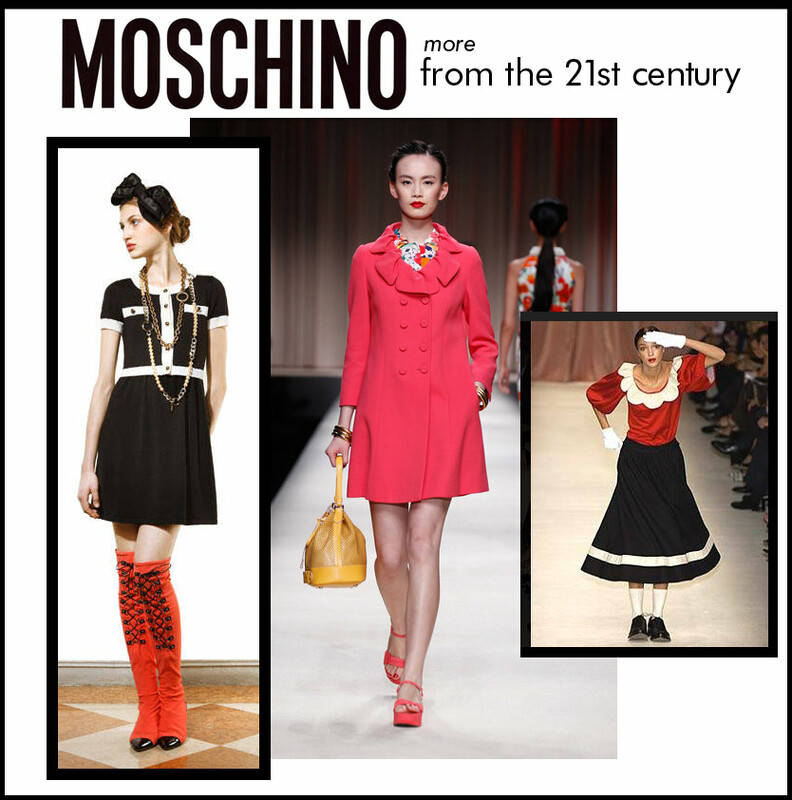 In honor of Moschino’s brand, Jardini is launching a 30th Anniversary Special Edition of the collection which will be available for purchase in November 2013. This is one item I have to have in November. 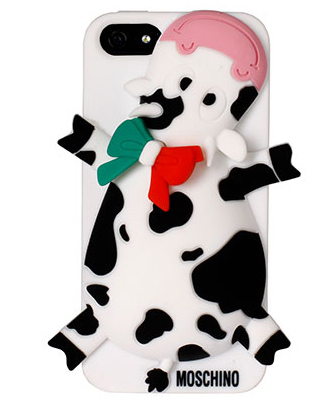 How could I not be giddy over this Italian Cow iPhone cover? I love animals and this cow puts a huge smile on my face. I also couldn’t resist purchasing this pair of boots from the Cheap and Chic Fall 2013 collection. To all my closest girlfriends: Under no circumstances will I ever allow you to borrow these boots; so don’t ask. Thank you Rossella for continuing Franco Moschino’s vision. I hope he approves and is smiling down from heaven sketching and creating fashion inspired by animals, nature and love. I bet he’s still thumbing his nose at the snobby fashion establishment who is fickle by nature but has come to appreciate the Moschino message. NY Fashion Week is Almost here–WTH AM I GOING TO WEAR? Pass me some SPF 50, Better yet, pass me my parasol! Bavissimo!!! Great post on a fantastic trailblazer in the fashion world. We consider him our hero! Always watched Fran Dresher on The Nanny to see Moschino's latest in action.